Wild fermentation wines are our passion. Pinot Noir is our obsession. Hedonistic. Intense aroma. Gorgeous color. Incredible flavor. BIG. That’s how people describe our wines. Schermeister Winery makes limited production wild fermentation wines from Napa Valley and Sonoma County, California. We produce our wines in limited quantities in order to focus on quality. By committing to native fermentation, our wines remain free of lab-created yeasts and instead rely on the wild yeasts found in every vineyard we harvest from each year. By using this method, you are tasting the true nature of the vineyard and its unique terroir. Each harvest brings our favorite varietals to our repertoire, but our first love is undoubtedly Pinot Noir. Try our wines by visiting our tasting room in Glen Ellen, scheduling a private tour with our winemaker, or by joining the Magnus Vinum Society. Follow our winery and receive the quarterly newsletter! Stay up to date on current and upcoming releases, learn about the wines we’re making, and get recipes for food and wine pairings. We will never share your information with anyone else. 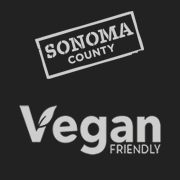 We are excited to announce the opening of our tasting room in Glen Ellen, CA! Our space is located in the historic Jack London Village and went through a major remodel. Come in and try all of our current releases and explore aromas found in wine at our complimentary aroma bar. Follow us on facebook to see the renovation process! Our 2013 Scavenger sold out last year, but there’s more coming! We harvested 2 tons of Syrah fruit from the Tumbas Vineyard in the Sierra foothills for our 2016 vintage and it’s aging well in barrels now. Look for the release this fall. To help give back to our Mother Earth, 20% of all Scavenger sales benefit International Bird Rescue. We’ve Expanded our Wine Club! 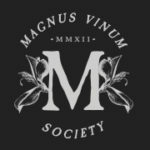 Over the past 6 years, we’ve grown from one vintage to over 13 so we’re improving our wine club, now the Magnus Vinum Society. Twice per year shipments, three membership levels, and a magnum offering are all now available for signup. Join here!